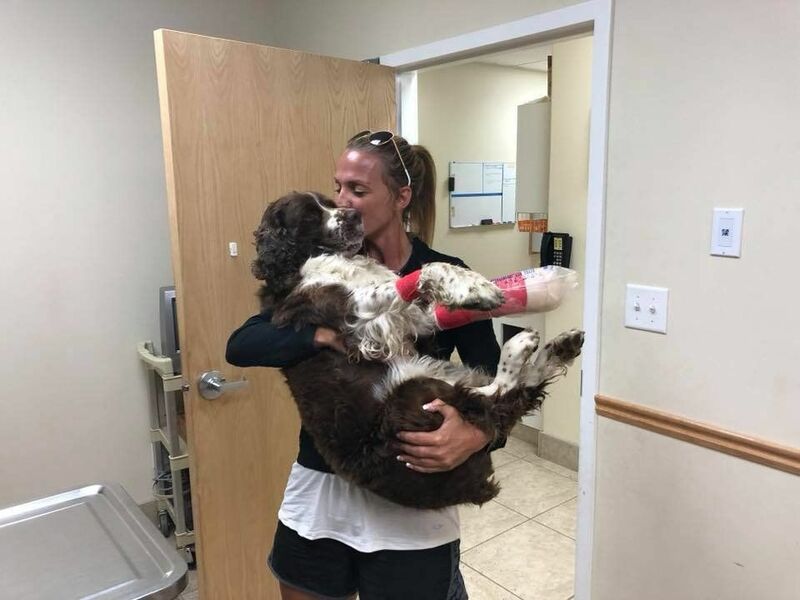 Last month, hiker Tia Vargas summited Table Rock in the Grand Tetons, Wyoming at 11,106 feet and on the way down, came across a limping English Springer Spaniel, clearly injured and lost. Vargas saw the dog with two other hikers headed towards the summit, looking for his owner. Since the other hikers wanted to summit, Vargas decided to take “Boomer” down the mountain herself. 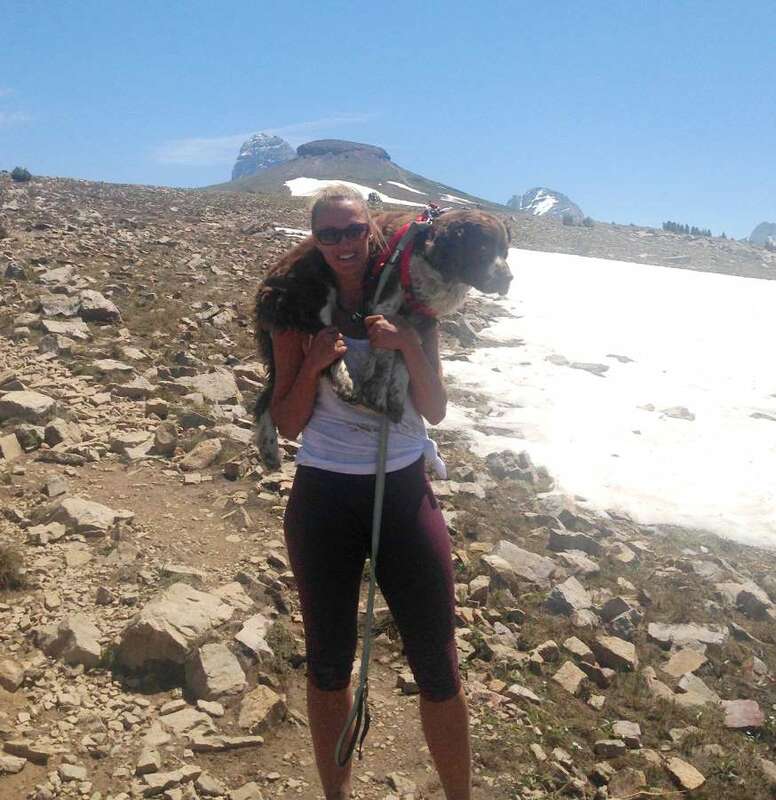 Tia Vargas is a 40-year-old, single mother of three kids from Idaho Falls who managed to carry the 55-pound Spaniel down the mountain. It turned out to be quite the challenge, as the trail was covered with debris and snow and very easy to get lost on, taking Vargas twice the amount of time it should’ve to get down. It also started to rain later in the afternoon, until she finally reached the bottom at 6 pm. At the bottom of the trail, Vargas found a note a family had left for a lost dog and called them. Boomer’s family was hiking a day earlier with him when he wandered off and fell down a 100-foot snow crevice. The family said they searched and searched but couldn’t find him anywhere. Vargas found out that the family was looking to sell Boomer, and knew that she was ready to adopt him. After Boomer was treated for a dislocated foot and some torn ligaments, he got to go home with the woman who saved him!